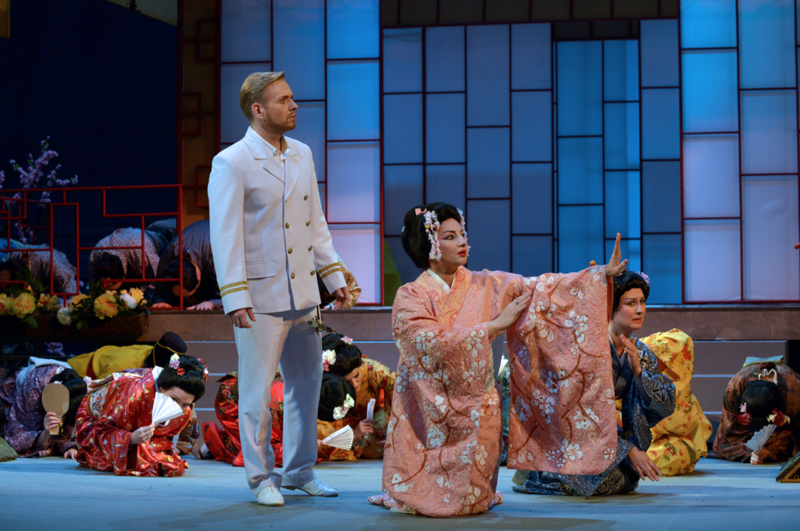 The audiences for MADAMA BUTTERFLY last month were highly entertained and their appreciation was demonstrated with standing ovations every night! Celine Byrne, Ireland’s most successful international soprano, and star Bolshoi soloist Anna Nechaeva were both outstanding and ably supported by the soloists, chorus and orchestra of the Moscow State Opera. The Moscow State Opera’s return to Dublin will be greatly anticipated. 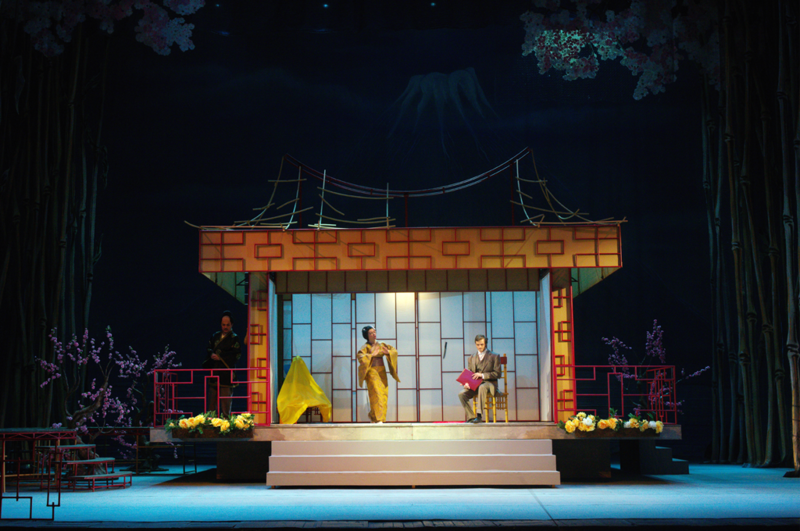 Here are two images of the recent Madama Butterfly Premiere in Moscow. Audiences can expect excellent conducting, fascinating sets and costumes, and several outstanding individual performances. Irish soprano, Celine Byrne, has been making her mark on both the operatic and concert stages throughout the world with performance débuts at Carnegie Hall and the Royal Opera House, Covent Garden. Her appearances at such houses and others including, the National Concert Hall, Dublin, the Hermitage, St. Petersburg, Tchaikovsky Hall, Moscow, National Grand Theatre, Beijing and Berliner Philharmonie have been greeted with enthusiastic acclaim by her audiences. “She has presence, a powerful and flexible voice, and the intelligence to understand how music and words work together” – The Irish Times. Anna Nechaeva is Russian soprano singer who was born in Saratov and and attended The Saratov Conservatory from1996. Later she was offered to perform the role of Tatiana in Eugene Onegin at the Saint Petersburg Conservatory and by 2003 became a soloist at the Saint Petersburg Opera where she continued her original role as well as other title roles in Giacomo Puccini's Gianni Schicchi, Madama Butterfly, and Suor Angelica. From 2008 to 2011 she became a soloist at the Mikhaylovsky Theatre where where she performed the roles of Nedda in Pagliacci and Rachel in The Jews as well as the title roles of Rusalka and of course Tatiana in Eugene Onegin. In 2012, she made her first public appearance with Bolshoi Theatre where she sang in The Enchantress portraying Nastasya becoming a soloist there the same year. After her debut, she performed such roles as Iolanta in an opera of the same name as well as Liu in Turandot and Yaroslavna in Prince Igor. Born in Moscow, Alevtina Loffe began to study piano at the age of five, and has since swiftly proven herself to be one of the most promising and versatile women conductors of her generation. Since 2008 she has been conductor for the Stanislavsky and Nemirovich-Danchenko Musical Theatre working with new stagings of operas such as Rossini’s Il Barbiere di Siviglia, Satie’s Socrate, Milhaud’s La Pauvre Matelot, Massenet’s Werther, Verdi’s La Forza Del Destino, and with ballets such as Prokofiev’s Stone Flower with choreography by Yuri Grigorovich, and Lera Auerbach’s The Little Mermaid (choreography by John Neumeier) and also Offenbach’s Tales of Hoffmann. Maestro Loffe conducts the regular repertoire of The Stanislavsky Ballet and Opera Theatre in Moscow, and in 2011 she accepted the role of Chief Conductor of The Moscow State Opera.